To Get Better We Need To Grow. To Grow We Need Effective Feedback. Teacher leaders need to provide teachers with feedback that is clear and bite-sized so that it can be applied immediately. This requires modeling, observations with purpose and personalized action steps. The same is true for teachers. 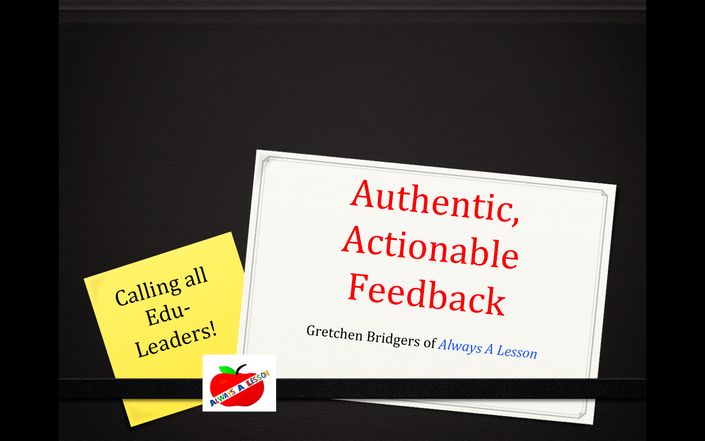 They need to provide authentic, actionable feedback to their students so that they can grow and become successful in and out of the classroom. Gretchen is a National Board Certified elementary educator of a decade. As a teacher coach and consultant, Gretchen empowers Elementary through High School educators to gain the skills and confidence necessary to become successful in the classroom for the development of their students.